First 200 Online entries get a T-shirt!! 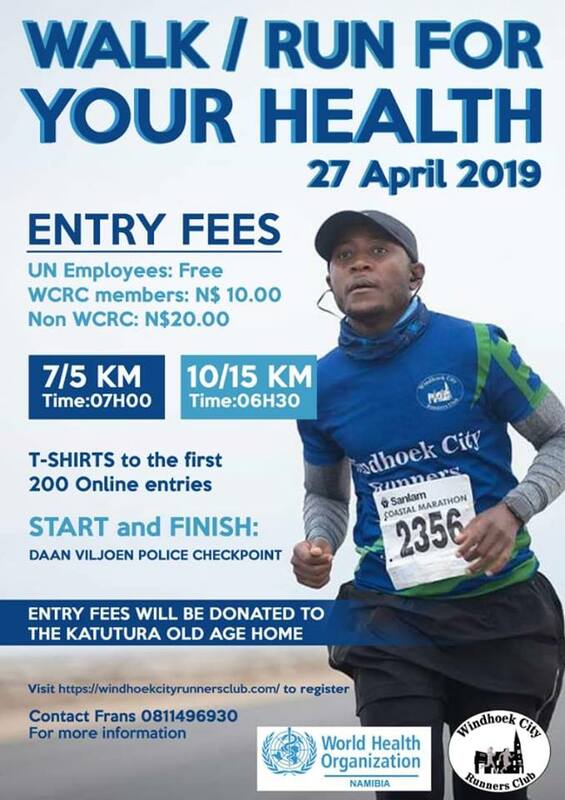 All funds generated will be handed over to the Katutura Old Age Home . Running/Walking is a priviledge, Never take it for granted.